Doctor Brigitta Szabo graduated from Semmelweis University in 2012. 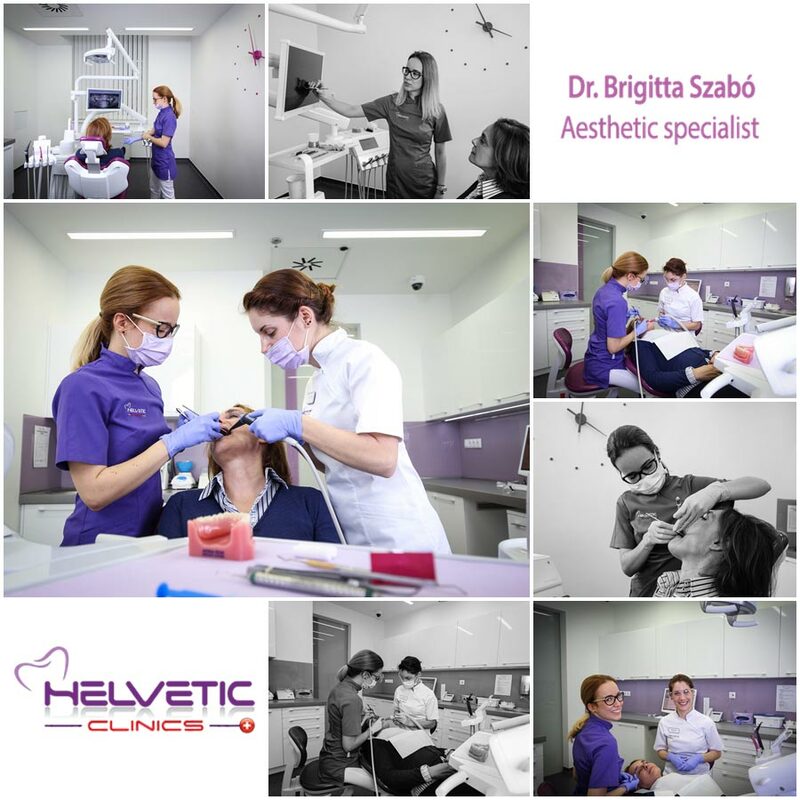 After an initial experience in a dental clinic, she joined Helvetic Clinics where Drs. Lukacs trained her to perform top quality dental treatments in the fields of conservative dentistry, including aesthetic fillings and prosthetics. Brigitta is fluent in English. My main area of ​​expertise is prosthetic work (dentures, crowns, bridges, veneers), aesthetic fillings and endodontics (root canal treatments). The collaboration is a prerequisite for trust and mutual sympathy. Therefore, I like to get to know my patients better, encourage and reassure them because the idea that a dental treatment can only be painful and unpleasant is long gone. I have been close to Helvetic Clinics since 2009, during my university studies I was trained by Peter and Laszlo. Regularly helping them with their work increased my knowledge and when I graduated back in 2012, I had already 3 years experience. I speak English.